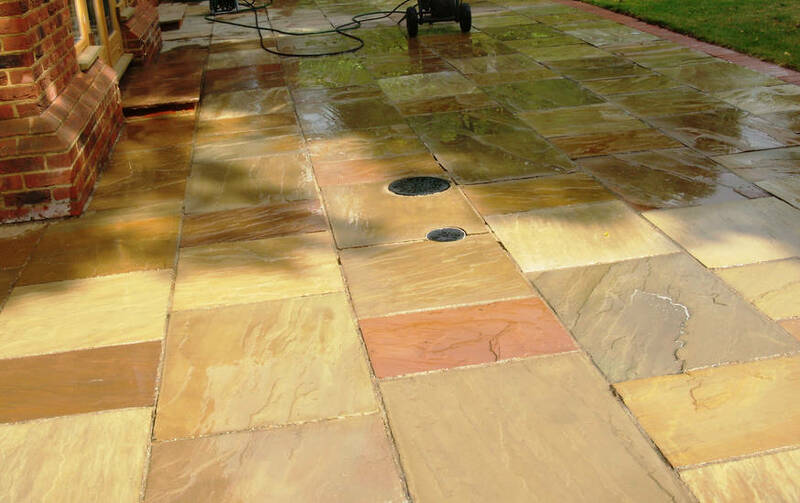 If you are looking for pressure cleaning services for domestic or commercial needs, look no further. With over 25 years combined experience, we have the skill to complete all jobs. Stuck outside, come rain or shine, it’s no wonder that your paving, patio or general outside areas can get a bit grimy, and any homeowner will know the limits when it comes to cleaning with a standard garden hose. 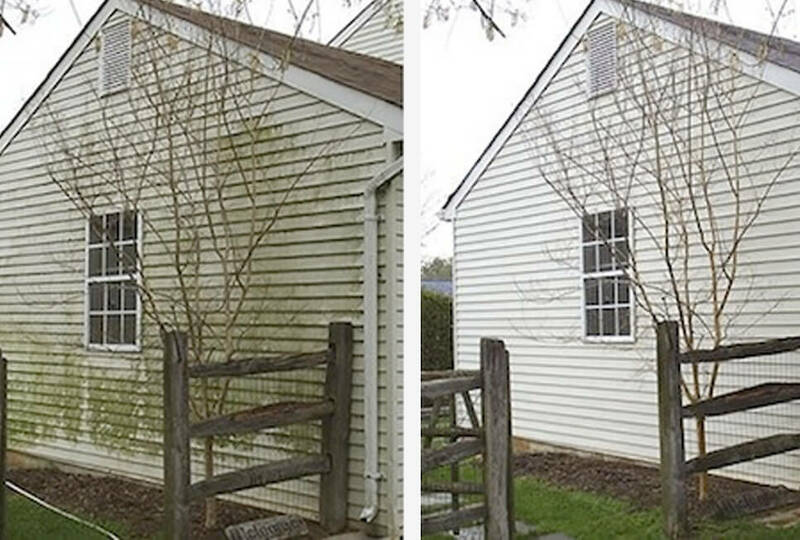 GLC offers a complete selection of restoration services for your outdoor surfaces. Get in touch for more information. 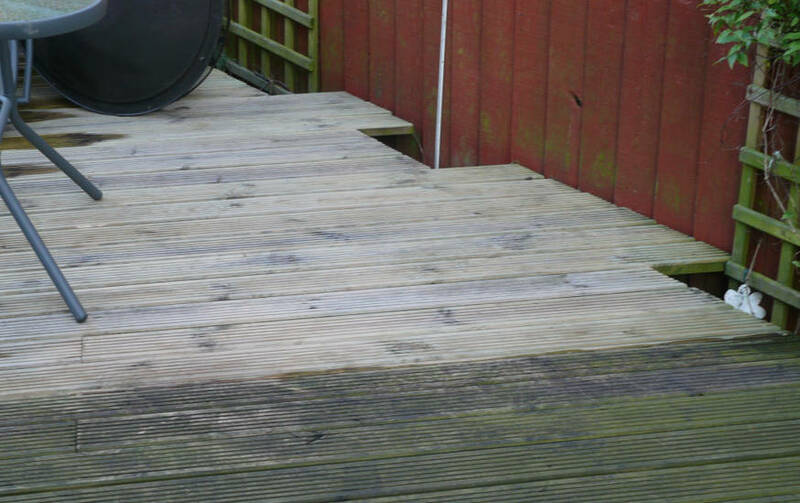 Calling us and arranging for restoration work to be carried out will always be cheaper than a total replacement of your surface, but you could get the same effect! We can provide anything from simple washes, to more complex operations which may include minor repair work, turbo finishes and re-sanding and sealing your surface. Gutters, fasciae and soffits are a nightmare to clean. Situated high up, often requiring a ladder and some gymnastic skill, it seems like cleaning them is just a disaster waiting to happen. That’s why we recommend calling in the professionals. 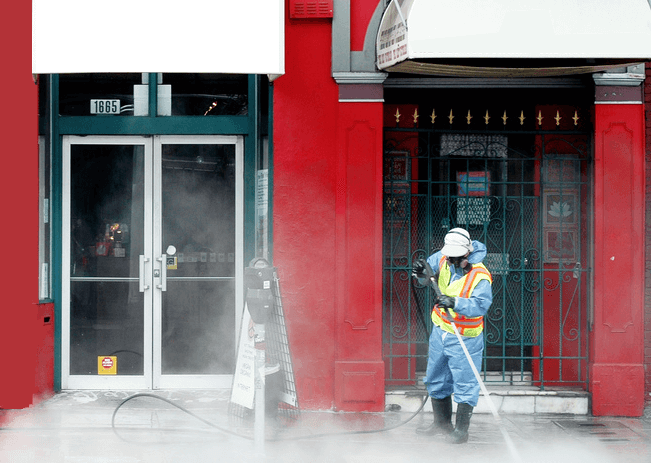 The staff at GLC have a wealth of experience cleaning property exteriors and have carefully fine tuned entire systems and procedures to cope with even the most severe build-ups of grime. By clearing away dirt, mould and mildew your house could look brand new within just one session. With health and safety playing an even more important factor, it is that much more essential to keep sporting areas clean. However, often covering large expanses, sporting areas like swimming pools, stables or tennis courts can be a real mission to keep in a good condition. With the help of a pressure washer though, GLC can have your sporting surface clear in no time. Even better, GLC have the methods and procedures in place to have your sporting area looking brand new, including tarmac treatments that will restore your surface to that glossy black colour you remember from when it was first laid. 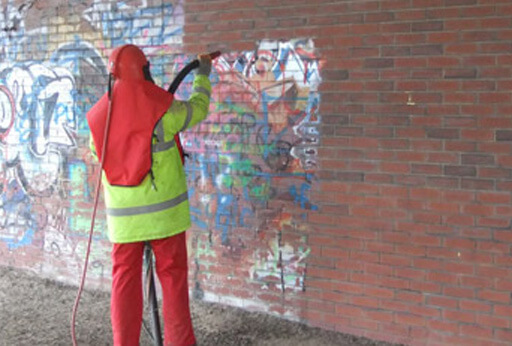 We also offer cleaning services for play areas, graffiti removal, chewing gum removal and much more. When you’re responsible for a commercial property, first impressions count. Whether you run a car park, a shopping precinct or a business forecourt, you know that people want and expect the best. That’s why it’s so important to make sure your property is really clean. With the help of GLC, you can guarantee that that’s the case. Our staff have the equipment and the skills to guarantee your property looks its best. 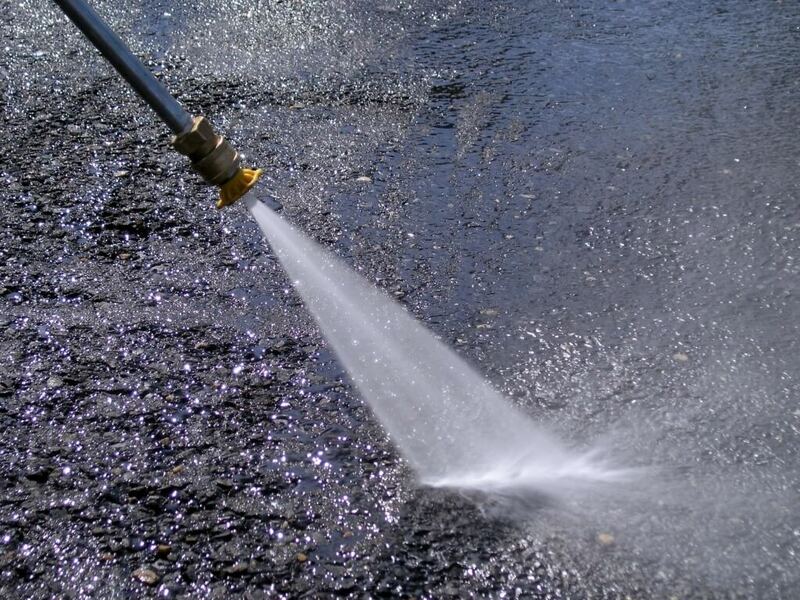 We can offer everything from chewing gum removal and gutter cleaning to petrol station forecourt cleans, re-lining car parks and renovating your tarmac surfaces. We promise that after a visit from GLC, even the most trodden in dirt and grime will be blasted away leaving you with a property you can be proud of. 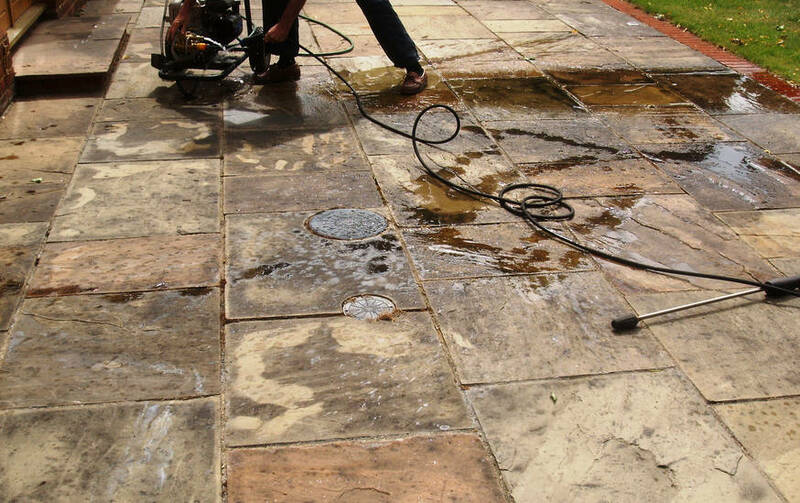 We have the tools and expertise to take care of patio and driveway pressure cleaning. First impressions count, so the appearance and maintenance of your property’s exterior is important. Hiring specialist equipment is expensive, and doesn’t guarantee the job is done right. Luckily, GLC have years of experience in the field. Whether it’s a commercial premises or a domestic household, we can ensure everything is looking as new again. Get in touch with GLC for more info, and we’ll take care of all the hard work.